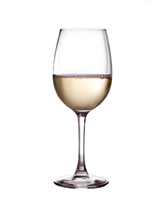 Wines.com is the web's premier portal for wine information and inspiration. Discover, experiment, share, enjoy. Known as the Winemaker's grape due to the myriad styles that can be created under guidance, Chardonnay is one of the most popular white wines in the world. A classic variety in the wines of Champagne, Chablis, Burgundy, and Northern California, Chardonnay is presented in several styles of wine, from bone dry, high mineral, citrus and green apple to ripe, with baked apple pie flavors, and buttered popcorn aromas. 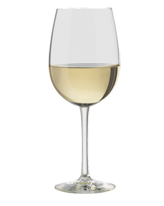 A classic white wine variety, most well known for the light bodied, off dry, high acid wines of the Mosel in Germany. Classic Riesling aromas and flavors include intense notes of peach, apricot and citrus in addition to white floral notes and high minerality in old world wines. Often described as a petrol or marmalade note, Riesling is distinct in its character when presented in sweet, off dry, and bone dry styles alike. Regardless of the area of production, Riesling is almost never aged in oak barrels. The Loire Valley of France is home to this classic white variety, with significant plantings found in New Zealand and California and Bordeaux where it is often blended with Semillon and Muscadelle. Noted for an intense character of herbaceousness and citrus overtones, Sauvignon Blanc can be intensely aromatic in warmer vintages in the Loire Valley, but can typically be identified from its New World counterparts by showing significant amounts of minerality. In Bordeaux, the citrus character of Sauvignon Blanc is often balanced by the waxy peach and apricot notes from Semillon. 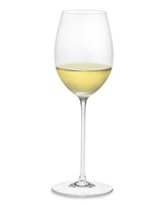 New Zealand Sauvignon Blanc is often more expressive in the citrus and green herb character it shows, often noted by ruby red grapefruit character and fresh cilantro. Sauvignon Blanc pairs well with creamy/buttery meals, shellfish, crab, lobster as well as white meats including pork and poultry. 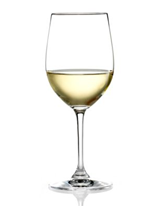 Pinot Gris or Pinot Grigio is produced around the world. Major regions where Pinot Gris are grown include Alsace (France), Australia, Italy, Ukraine, Chile, California, Oregon and Washington State. The Pinot Gris grape is thought to have originated from the Burgundy region in the Middle Ages and according to DNA research by scientists at UC Davis, is remarkably similar to Pinot Noir. Pinot Gris is a medium bodied and acidity wine with mid-level acidity, yellow to copper-pink in color with a floral bouquet of melon, Asian pear or apple. Most often it is immediately available after bottling because very few Pinot Gris productions improve with age, with exception of the Alsacian Pinot Gris. Pinot Gris pairs well with harder, stronger cheeses such as parmesan, asiago pasta dishes, as well as white meats including pork chops, chicken dishes. A white wine from the Loire Valley that has seen cultivation expand to other New World countries including South Africa, Australia, Spain, and spread out over 12-15 states across the U.S. This varietal, when produced in a dry style is typically higher in acidity and thus requires smaller yields in the vineyard, and is harvested late in the year (also widely produced as a sweet wine). You will find notes of green apple, quince and mineral or a chalkiness that can be oak aged to bring out a buttery, nutty flavor. Often blended with small amounts of chardonnay and sauvignon blanc (less than 20% blend), this dry chenin blanc wine pairs exceptionally well with salads, fish and chicken. 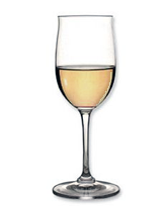 Also known as Moscato, Muscatel or Muscadel, Muscat is a fragrant dessert wine produced as both a sweet semi-sparkling wine (Moscato d'Asti) or a sweet still wine. Muscat wines are produced in many countries including Italy, Spain, Portugal, France, and smaller countries like Greece, Moldova, Lebanon and Slovenia to name a few. The Muscat grape itself can range in color from white to black and are high in sugars and flavonoids (antioxidants). 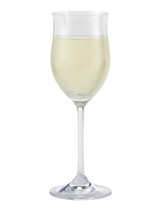 Sweet Moscato and Moscato d'Asti wines are very good served chilled on their own as a refreshing summertime wine. Also very good with lighter Thai dishes or other spicey dishes, as the sweetness offsets some of the spiciness. Moscato wines pair beautifully with light or mild fruit or creamy desserts, blue or cheddar cheese, biscotti, fois gras, nuts, pannetone, meringues, souffles, berries or even chocolate. Muscat can be a fortified dessert wine, as in de Beaumes de Venise (Rh&oum;ne), a late-harvest dessert wine, or a liqueur. When produced as a dry white wine, Muscat is high in acidity with orange blossoms, lemon-lime, grapefruit and citron in the nose, but on the palate it is crisp, tart, dry and refreshing. Dry muscat is a perfect aperitif or cheese wine. Moscato d'Asti from the Piedmont region of Italy is a good all-purpose semi-sparkling sweet white wine, very low in alcohol, and versatile. Moscato wines are rapidly increasing in popularity, accounting for 6% of all U.S. wine sales currently according to the Wine Institute.